Despite a dip in on-time performance in December, Virgin Australia Regional Airlines’ (VARA) has maintained its place on top of the punctuality tables for a second straight month. Figures from the Bureau of Infrastructure, Transport and Regional Economics (BITRE) showed VARA achieved a 87.3 per cent on-time arrivals rate in December. Although the result was down 2.8 percentage points from the previous month, VARA still finished ahead of Qantas at 83.5 per cent and Virgin Australia at 83.1 per cent. Meanwhile, VARA also led the pack for on-time departures, with 87.3 per cent of its services pushing back from the gate within 15 minutes of schedule. The airline’s performance was off 2.9 percentage points from November. Fellow regional carrier Regional Express (Rex) was next best for on-time departures at 86.6 per cent, followed by Qantas at 85.6 per cent. The battle for passengers has led to a strong emphasis on punctuality for airlines in an effort to attract and retain customers, particularly those in the lucrative corporate and government travel sector. Among the low-cost carriers, Tigerair Australia (73.7 per cent) was ahead of Jetstar (69 per cent) for on-time arrivals in December, after slipping behind its rival for the first time since May 2015 in the previous month. 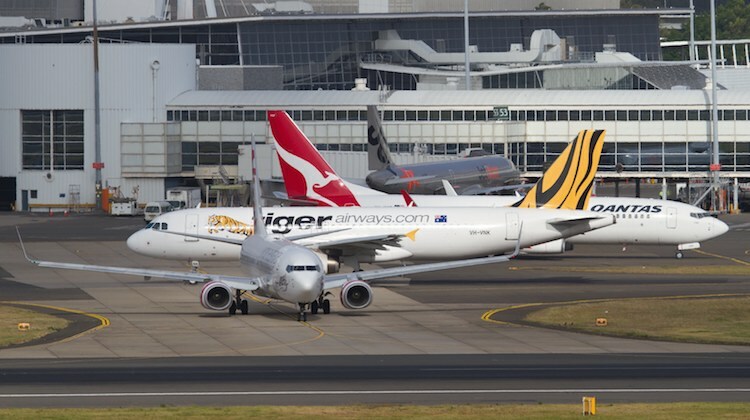 The Virgin-owned Tigerair also topped Qantas’s Jetstar in terms of departures, with 74.6 per cent of its flights pushing back from the gate within 15 minutes of schedule compared with 65.5 per cent for Jetstar. It was Jetstar’s lowest on-time departures rate since December 2015 when it came in at 63.2 per cent. The monthly BITRE report also noted Rex had the lowest number of cancellations in the month at 0.2 per cent – it flew 5,620 of 5,633 scheduled flights – followed by VARA at 0.7 per cent. At the other end of the scale, QantasLink and Tigerair had the highest percentage of cancellations at 2.8 per cent. The figures showed the city-pair with the best on-time performance was the intrastate route between Cairns and Townsville. The BITRE report showed Cairns-Townsville had a 97.7 per cent performance for arrivals at Townsville and 98.9 per cent on-time departures from Cairns. Meanwhile, Townsville-Cairns had 97.7 per cent on-time arrivals at Cairns and departures from Townsville. Overall the on time comparison between the major carriers in Australia is meaningless because they are not comparing similar fleet sizes. It’s easier to achieve a higher on time percentage with 10 aircraft flying regionally compared to a 150 aircraft fleet flying both domestically and international. While it is great for advertising, it is really just ‘fake news’. A bit harsh, @Craigy. I would accept that an airline group operating 150 aircraft vs another operating 10 has a greater extent of operational support to make it all happen i.e. it is all comparative. Spot on Craigy, as someone who flies the Townsville – Cairns route regularly the amount of services that are cancelled outright is very high, I would like to know how these are counted in the survey, with 98% on time I would suggest they aren’t, because they cancel a lot of services, so if 98% of the actual flights take off on time that does not mean 98% of pax get to their destinations on time. Good point on comparing fleet sizes. No mention of Flycorporate or Fly Pelican. Curious what their on time performance is?